The foot is a very important part of the human body because it is the primary tool for performing basic functions such as standing, running and jumping. However, it is also subject to various types of diseases, which could actually lead to severe and chronic pain. This kind of pain is a condition that affects the lower, upper, right and left portions of the fee. Here is a quick feature on the different symptoms, diagnosis, treatments and causes of this shooting pain. Characterized by sharp pain and dull sensations, this medical condition has numerous symptoms depending on what parts of the foot are affected. 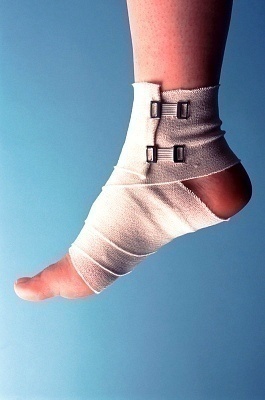 For those who are suffering from plantar fasciitis, the symptoms include stabbing pain in the heel and tingling sensations when the foot is stretched. Meanwhile, individuals who are suffering from retrocalcaneal bursitis show negative signs like swelling, tenderness and severe pain on the foot. On the other hand, those who are suffering from a chronic foot condition called tibialis posterior syndrome exhibits signs like swelling in the ankle area and pain during exercise. There are many causes of foot pain, all of which offer great discomfort to patients. These include osteoarthritis, plantar fasciitis and stress fractures, all of which could lead to tingling sensations. Meanwhile, people can experience sharp stabbing pain when suffering from foot injuries such as metatarsalgia, muscle strains and sprains. Other factors that contribute to this type of pain are industrial cumulative stress, high-impact exercise and poor posture. Furthermore, bruises, blisters and calluses can also bring great pain to many people. Diseases and other medical conditions can also cause a lot of pain and numbness to the feet such as gout, Hansen’s disease and diabetes. Health practitioners use a variety of methods to diagnose foot pain. These include medical history and physical examinations. Tender spots and deformities will be examined thoroughly to determine the cause of the problem. It is also important to check and test both feet of patients. For a more accurate result, magnetic resonance imaging and x-rays can also be used to determine the point of origin of the pain. When suffering from foot pain, it is good to use the special method called R.I.C.E., an acronym that stands for rest, ice, compression and elevation. To help ease the pain and discomfort, there are numerous over-the-counter drugs available. Leading non-steroidal anti-inflammatory drugs include naproxen, ibuprofen and aspirin. There are also other options available such as tolmetin, ketoprofen as well as acetaminophen. It is also good for patients to undergo biomechanical evaluation, muscle strengthening and corrective prophylactic measures.